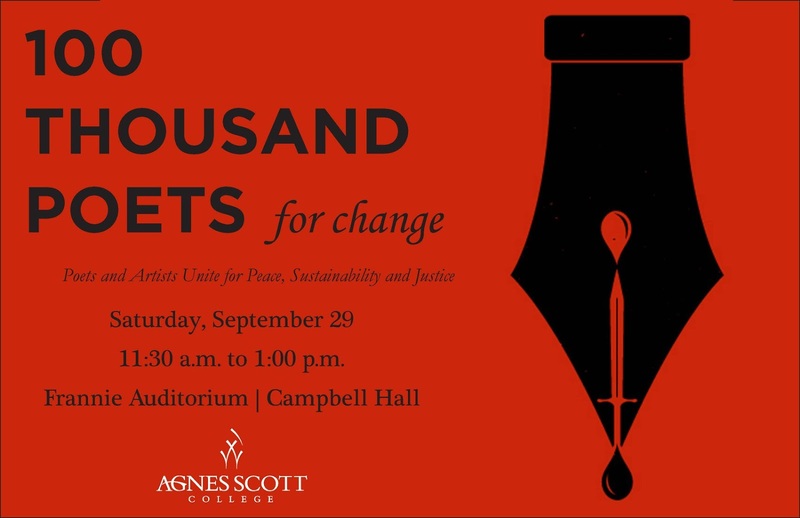 Waqas Khwaja, an English professor at Agnes Scott College, is hosting this year's 100 Thousand Poets for Change poetry reading. Along with support from the English Department, the event celebrates poetry as an agent of transformation and change. "Over 1600 events are planned simultaneously all across the world, and the readings are all part of the archive maintained by the 100 Thousand Poets for Change, curated by Michael Rothenberg and Terri Carrion, the founders of the event, who remain its moving spirits and its passionate and committed promoters. If you are in the area, you are cordially invited to participate in the event. The choice is yours. Be part of the audience. Read your own poems. Or share a poem, or poems, you love. There is no restriction of language either. All are welcome."